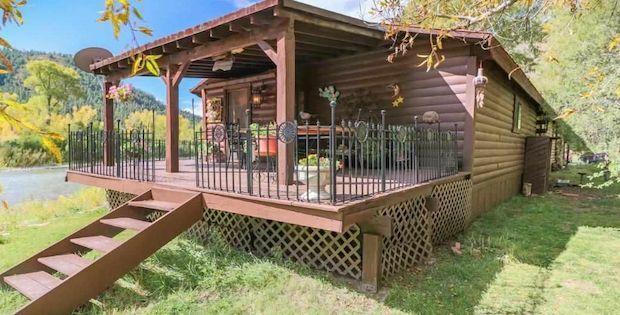 Waking up as the morning light peeks through your windows… seeing tall evergreen trees, clear blue skies, hearing beautiful bird songs… you get all of these and more when you stay at the three-bedroom log cabin at Pagosa Spings, Colorado. 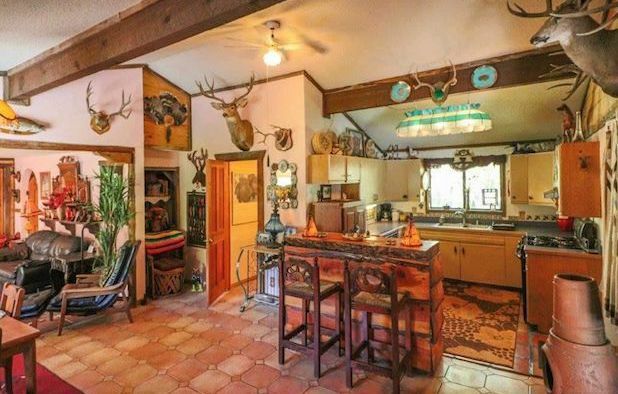 This 40-year old log cabin has Saltillo tile floors with partial carpeting, with a unique entryway and rock work by reputed craftsmen. 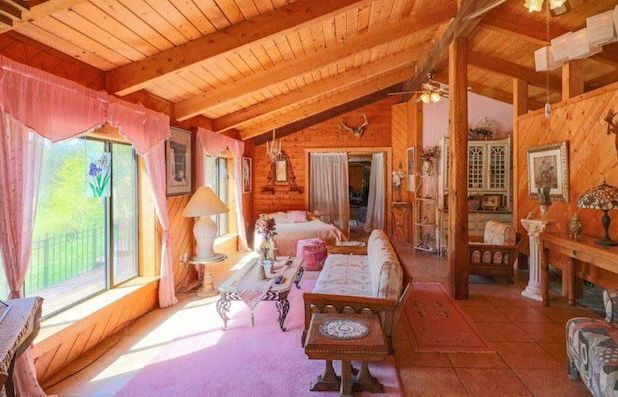 This beautiful cabin welcomes you with its arched doorway. 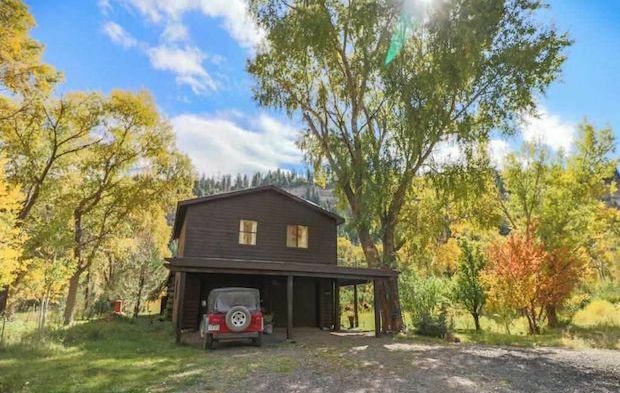 The house is spacious enough to hold a large wooden bar in the kitchen area, a large woodstove with two forced air furnaces. 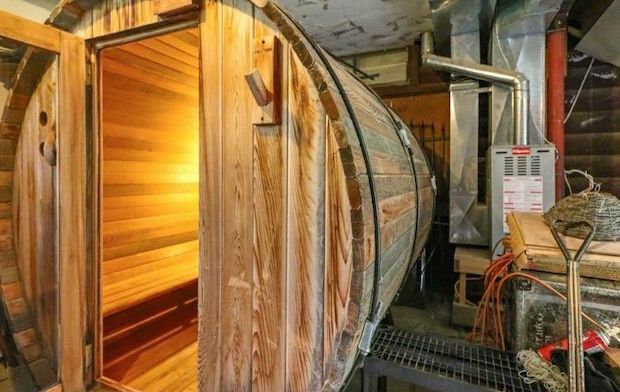 The space has a two-car garage, a storage shed and a relaxing barrel-shaped sauna. 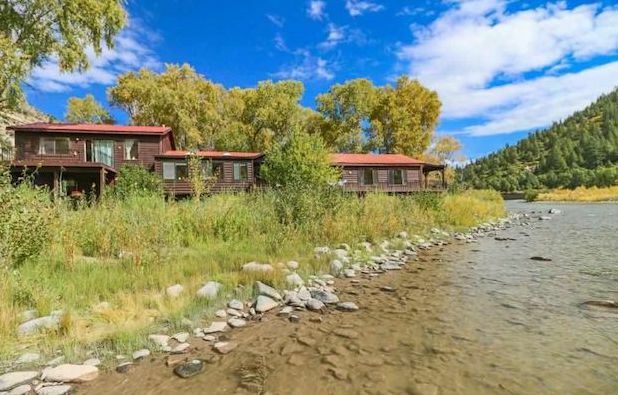 You can enjoy the scenic mountainside and the sounds of the river. This 2-acre space is very private; you can enjoy yourself with the area’s peace and serenity. Experience this every day… all yours for $440,000. 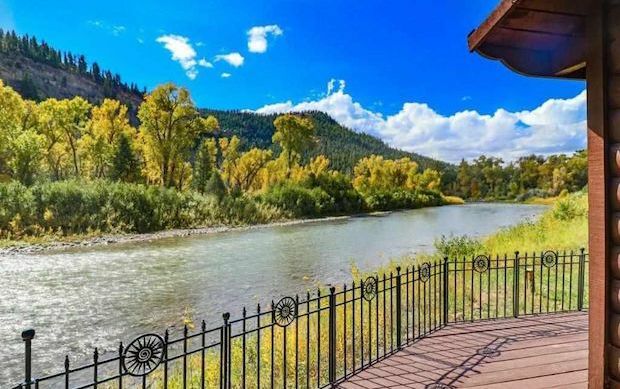 Tranquil Setting on the San Juan River! Beautiful solarium, facing river with great morning sun. Floors are Saltillo tile, and two skylights in entry off of large wrap around deck. Back deck over river is covered. Original cabin is log, with addition being log sided.